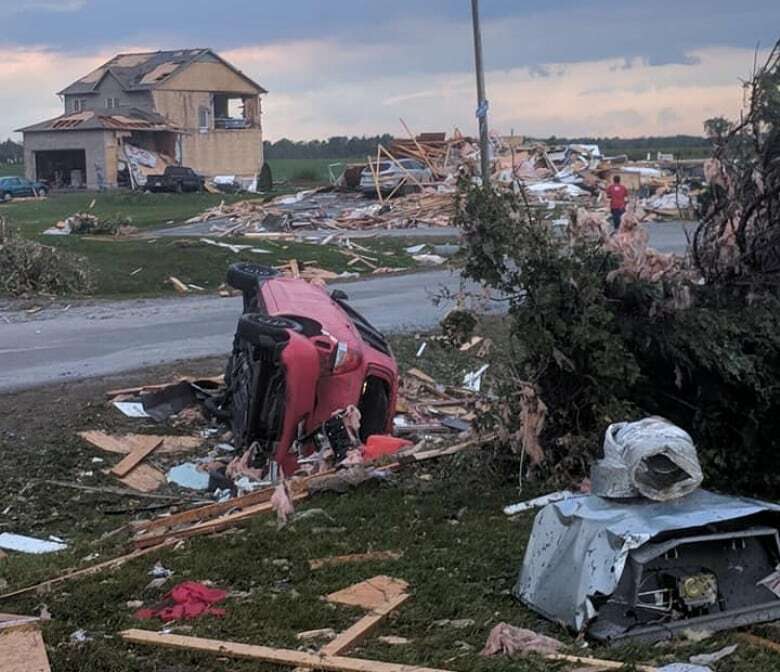 Two people remained in critical condition in hospital and tens of thousands were still without power Saturday, a day after a tornado ripped through parts of the Ottawa and Gatineau, Que., area. 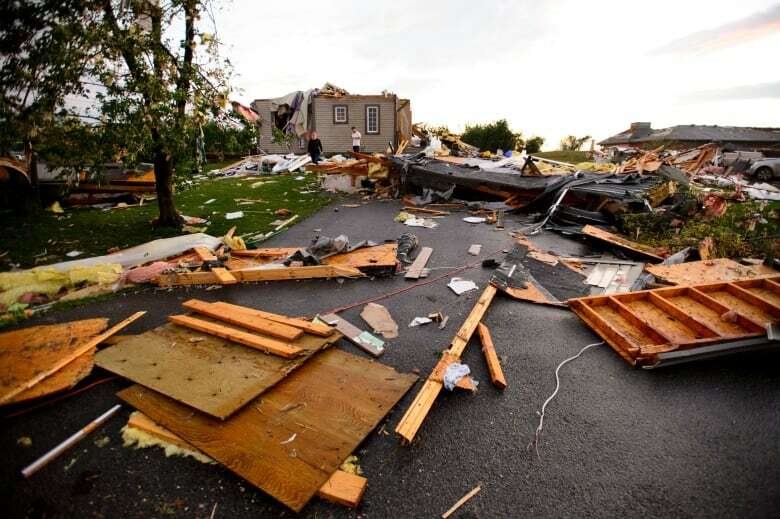 The two individuals were among six taken to hospital after a twister touched down in Dunrobin — a rural community in Ottawa's west end — where multiple homes were severely damaged before it headed east across the Ottawa River toward Gatineau Park, according to Environment Canada. On Saturday morning, Hydro Ottawa reported that 171,462 customers were still without electricity, and more than 80 poles were damaged or torn down. As well, 38,909 Hydro-Québec customers were without power as of 9:22 a.m. ET. It is unclear when power will be fully restored. Traffic lights were also out in several spots across Ottawa. They should be treated as a four-way stop. 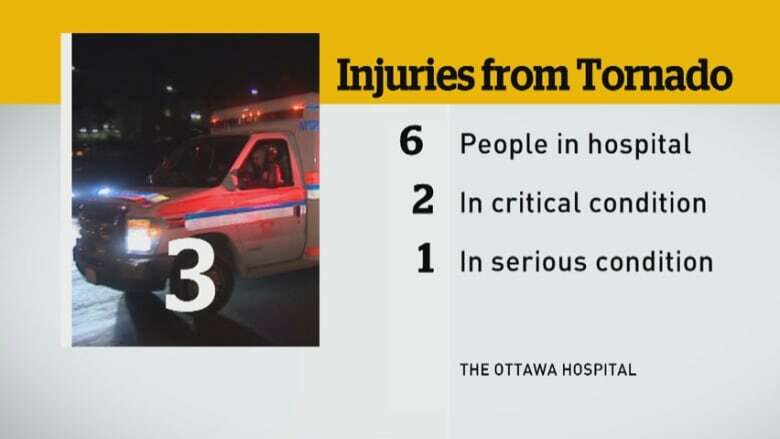 As of 7 a.m., six people from the Ottawa area had been taken to hospital, according to the Ottawa Hospital. As well as the two in critical condition, one person was in serious condition, two were stable and one was in fair condition. A dozen other minor injuries were reported, according to Ottawa's general manager of emergency services. Early reports from Gatineau said five people sustained injuries and were taken to hospital, while hundreds were left to seek shelter. 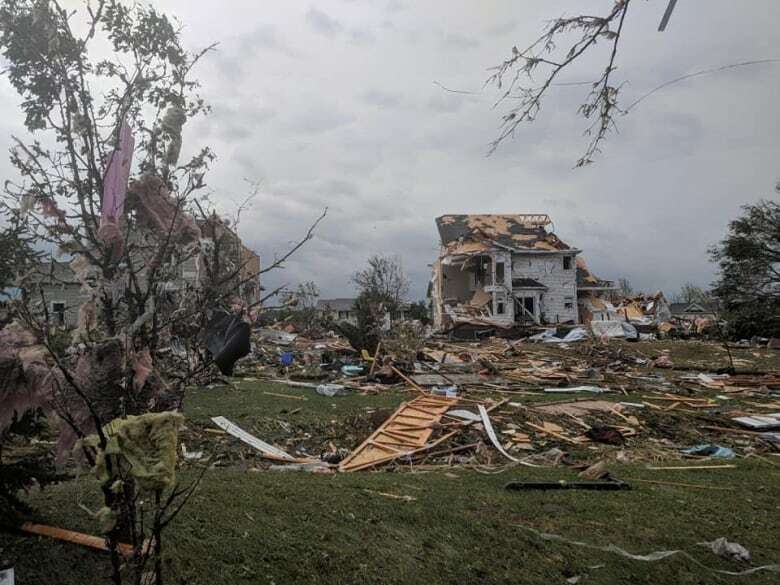 Anthony Di Monte said earlier there were reports of 30 to 40 damaged homes in the community, and indications some people could be trapped in buildings. In these situations, we kind of have to go house to house. Power's down. Communication is problematic. And in a couple of areas, fire [department] is indicating that some people are trapped and we're attending to them," he said. Di Monte asked people to stay away from the damaged areas. "My thoughts and prayers are with the people that were affected, and my thanks goes out to the first responders who are doing an amazing job," said Merrilee Fullerton, legislature member for Kanata-Carleton. "I would have to say there are about 20 houses severely affected, probably more," Fullerton said. She said that number is only based on a quick tour she was given. The power loss "is not concentrated anywhere. 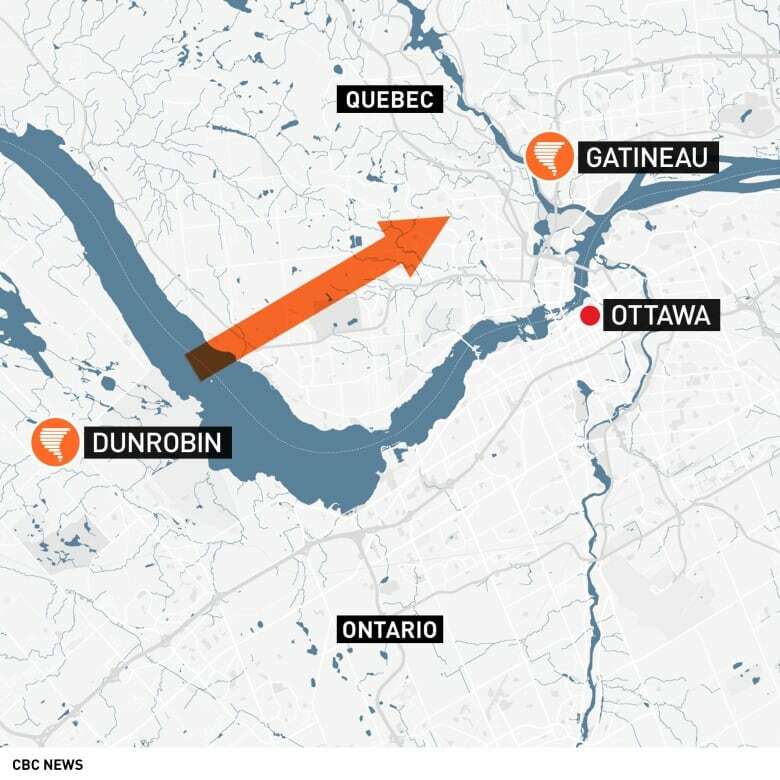 It is just spread across the city, from Kanata all the way to Orleans," said Joseph Muglia, director of distribution operations with Hydro Ottawa. The power company is in "damage assessment stage," said Muglia, and there are hopes efforts to restore service will start Saturday morning. "We hope to gain some control of that overnight and certainly by morning we will start to see those numbers come down." Muglia said, however, that the damage is serious —nearly as bad as the 1998 ice storm. "This is the worst storm that we have dealt with in the history of Ottawa ... at least since 1998." Friday's storm "tracked for quite a significant distance," said Peter Kimbell, a warning preparedness meteorologist with Environment Canada. "We know for sure that there was a tornado in Gatineau because we have colleagues of mine who actually saw it." 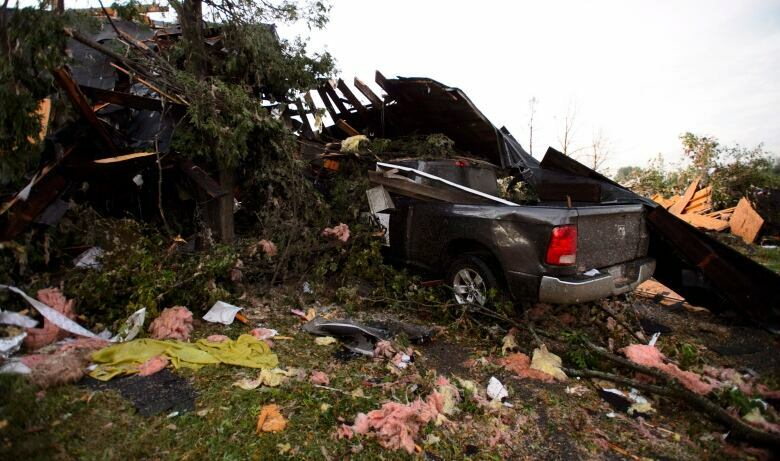 Based on damage reports, the tornado was likely an EF-2, meaning it had sustained winds of 179 to 218 km/h. 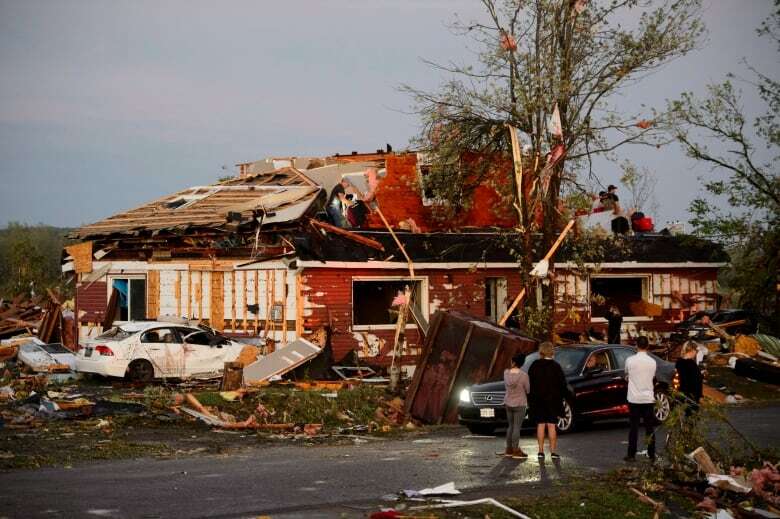 The tornado caused considerable damage, dozens of roofs were blown off homes, many trees were snapped or uprooted, and electrical transmission towers continue to be affected. Local Coun. Eli El-Chantiry, speaking from the corner of Dunrobin and Thomas Dolan roads, said there are at least 20 damaged homes nearby. "In 30 years, I've never seen anything like this. It's devastating, the way it is now." 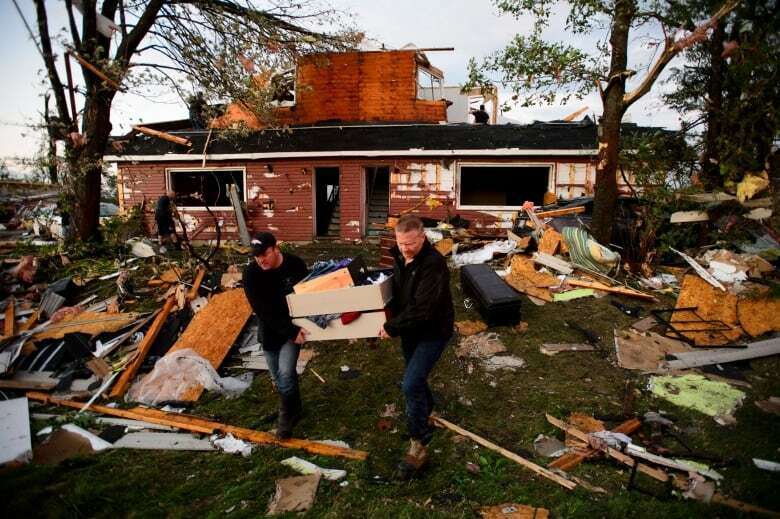 Hundreds displaced as tornado hits Gatineau, Que. He said West Carleton High School, where the Red Cross is setting up, and the Dunrobin Community Centre are open to residents seeking shelter. El-Chantiry said emergency calls should go to 911, while people seeking other help should call 311. The city has asked people not to tie up those numbers unless the need is urgent. Judi Varga-Toth, who is running against El-Chantiry in the Oct. 22 municipal election, said her home, in the same area, is literally the only one standing on her street. "I'm looking at where my next-door neighbour's house is and it looks as if there was never a house there." Her husband was home when the storm hit and their neighbour was badly hurt, she said. He brought the neighbour's child home when the woman was taken to hospital. Varga-Toth was at a local rural fair when, shortly before 4:30 p.m., everyone was told to get into the hockey arena or curling club. As the storm passed, arena-goers began getting texts about the devastation in Dunrobin. "It was awful," she said. 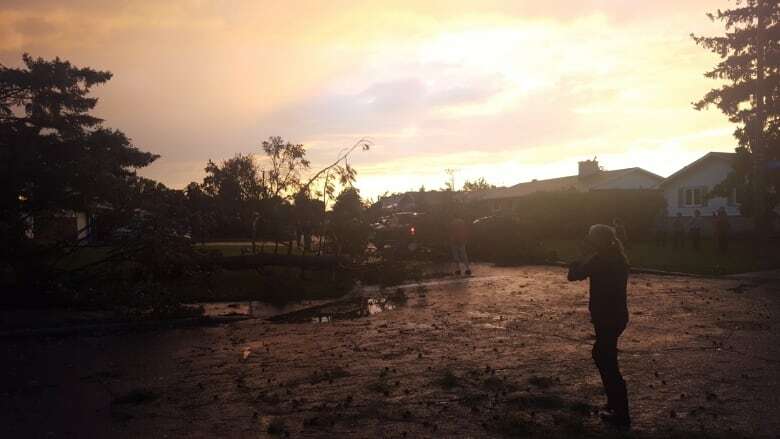 There were also reports of heavy damage in the Hunt Club and Greenbank Road areas in south Ottawa, including downed power lines. Kimbell, the meteorologist, said damage is likely the result of a downburst — another kind of violent wind disturbance, and not the tornado. The National Capital Commission tweeted out that Gatineau Park would be closed until further notice. If you have photos of the storm, please send them to us.